Sometimes I tell myself I love running. It’s a lie. I hate it. I’ve always hated it. Running in my teenage years was hard. I was out of shape and really didn’t know how to run properly. In the Army, I got faster and could go longer. But it was never comfortable. I only got better because I had to run every day. When I got out of the Army, I told myself I would never run again. That was another lie, one that lasted four years. These days, almost twenty years out of the Army, I try to get about ten miles a week. Some weeks I exceed my goal. Other weeks, I don’t even clock one mile. Regardless of the results, running has become so ingrained into my life that I always set a weekly mileage goal. Running is monotonous. It is also very frustrating. My brain, powered by the activity, goes into a creative mode with no outlet. All these ideas floating around and by the time the run is over, I can hardly remember a single one to write down. But if don’t run, I don’t have those types of thoughts at all. So why do I even run? It isn’t the best exercise out there to get the physique I desire. Compared to HIIT (High Intensity Interval Training), lifting weights, and other aerobic activities, running often takes longer to burn the same amount of calories. It is also harder on the joints. And yet I do it. Why? How many times have I gone out for a run and told myself to go a little farther? How many times have I wanted to stop and give up and yet pushed just a little longer? Every time I have gone out, I have at some point wanted to quit. Every time, I have been confronted with the decision to walk. Some days I take it. But like it was in the Army, the more I run the better I get. And the more consistent I am with my training, the less power that desire to quit has over my body. The more I run, the more I learn about myself. Just what am I capable of? How far will perseverance and persistence take me? How much courage can I muster? The steps are the same, every one of them. One foot in front of the other, over and over again. Each step getting me closer to my destination. If I want to reach the end, I have to keep going. It might take longer if I walk, but even walking, as slow as it may be, gets me closer. How far will I go if I am standing still? How far if I never make it out the front door? In whatever venture we choose to pursue, we only have one course of action to reach our destination. We have to take that first step. 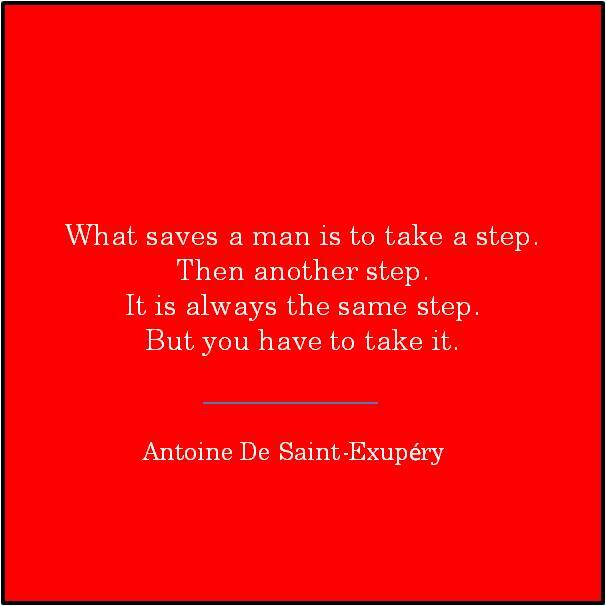 If we can take that first step, well who knows, we might just be able to take another. Thank you for making it this far! To see more from TonyFine.blog, sign up below.